The Drain-Jordan Library uses the Library of Congress Classification system to organize our books. Listed below are the letters and titles of the main classes of the Library of Congress Classification. B -- Philosophy. Psychology. Religion. G -- Geography. Anthropology. Recreation. The best part about this classification system for you is that books are grouped by subject, so if you find a book that is relevant to your search, there should be similar books in that same section. More on the Library of Congress Classification System. If you're new to searching for books, periodicals, journals, and electronic content through the Drain-Jordan Library, this is the place to start. Our Virtua Card Catalog allows you to search by subject, author, format, publication year, ISBN number, and Library of Congress category and call number, to name a few. You can also see what print resources are currently available, and where they are located in the Library. 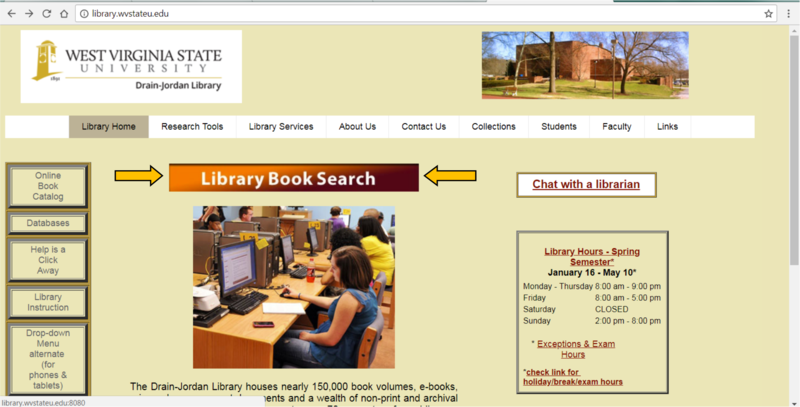 Just click on the Library Book Search box located on the Library Homepage, or follow the Catalog link above. I've found a book I want, now how do I locate it in the Library? Write down the Call Number and the title for the book or other content. The call number should be located directly below the title of all our cataloged materials. (Gold arrow in the screenshot below). The general book collection in the Drain-Jordan Library is organized into 4 tiers, based on the Library of Congress classification system. 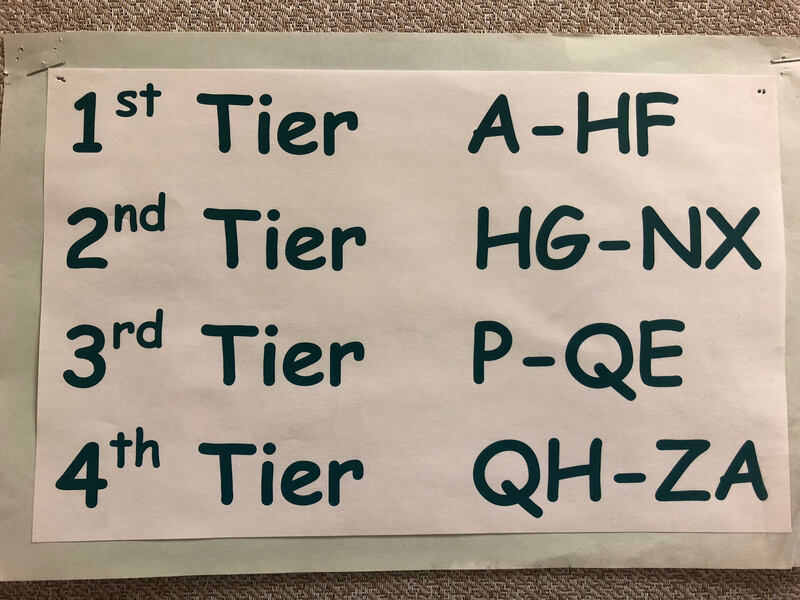 There should be signs around the library, like the one to the right, that help you locate which tier corresponds to which numbers. The books are listed alphabetically by tier. The catalog book record will also tell you which tier your book is on (black arrow in the screenshot above). The tiers themselves are located towards the center of the building, and the 2nd tier is on the main floor of the library. The tiers do not correspond to floors. There are 4 tiers in the library, and 2 floors (not including the ground floor). For more on the different sources available through the Catalog, check out our Using Library Resources tab on this guide. The tiers can be very confusing for new users, so please don't hesitate to contact the reference desk - That's what we're there for! I want an eBook; Where can I find your collections? Although there are eBooks in with our general catalog collection, most of them are government documents, and may not be relevant to your search. Our eBook Collection is actually through EBSCO, and is located in with the EBSCO databases. You can either do a general search in Academic Search Premier (EBSCO), and Select All databases, or you can choose to search only the eBook Collection by following the link above. For more on searching Academic Search Premier and selecting databases, go to the Academic Search Premier tab on this guide. You can also visit our Library's eBook Collections page.